I love this wacky take on the old nursery rhyme, mostly for the hilarious images that accompany the rhyming story of a woman who finds the animals she brings home from the market (a fat pig, a plump goose, a live trout) running roughshod over her home. Perfect for a proto-vegetarian. Written by Don Gillmor, illustrated by Marie-Louise Gay. When a little girl who hates vegetables shoves them in her pockets instead of eating them, the vegetables go bad—literally! An army of peas, a herd of cauliflower, a forest of broccoli and others chase little Ivy around the park (the “speedy yellow runner beans … right at her heels”). This beautifully paced new book is a parable about a misfit kitchen utensil who must find his way in a world “…where forks were forks and spoons were spoons. Cutlery customs were followed closely. Mixing was uncommon.” Exquisitely illustrated, it’s a sweet and timely tale for a sporky world. Max is the cook’s dog and the king’s taster. He gets to eat everything the king eats first—wild boar, rose pudding and more. But when a new king is crowned who doesn’t like the cook’s food, the duo must travel the world to try and find something to please their finicky young master. When you give a mouse a cookie, he’ll want a glass of milk and that’s just the beginning of this rollicking celebration of repetition and the shared mouse/child pleasure of eating cookies. 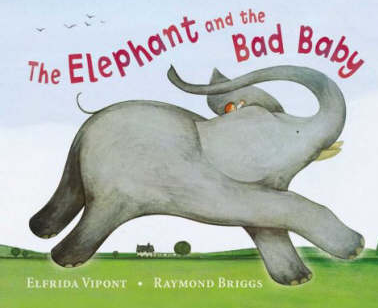 A classic in the genre (and far superior to its followup “If You Give a Moose a Muffin”). Written by Edward Lear; illustrations by Stéphane Jorisch. You can’t go wrong with any version of the famous inter-species love story, but my new favourite is this Governor General Award-winning take illustrated by the extraordinary Stéphane Jorisch. “They dined on mince and slices of quince, Which they ate with a runcible spoon…”—could there be any more beautiful verse about the glories of eating together? A classic tale of one little boy’s perseverance in the garden. I love the 1945 illustrations by Crockett Johnson, and the sweet message that never goes out of style. The Tiny Seed recounts the difficult journey of a seed—braving cold and wind, heat and the feet of small children—to become a beautiful flower. Carle’s lovely (and beloved) collage illustrations elevate the book beyond its straightforward storyline. The tale of a Chinese-American girl whose mother insists on growing “ugly” vegetables (like bitter melon and Chinese leeks) in a neighbourhood where flowers are the norm. But when her mother makes soup from the vegetables, the delicious smell draws everyone to their home. One of my favourite children’s books of all time, it’s the story of a woman who travels the world but comes home to her small, seaside village with a mission to beautify the world with her lupin seeds. When a giant gets a nasty cold, he goes to his Giant’s Home Medical Guide and finds the virus can only be remedied with Boy Soup. But the boys (and one smart little girl named Kate) destined for said soup have other ideas. They trick the giant into eating soup made by boys instead of with boys. A series of rhyming poems, it opens with an ode to the pie: “Nothing beats a pizza when you’re in a pizza mood because a pizza isn’t anything like any other food.” The book skips, jumps and dances through other pizza poems, the entire endeavour feeling like you’ve wandered into a crazy, creative chef’s kitchen where anything goes and experimentation is welcomed. 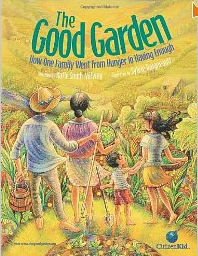 This children’s book and website of the same name uses the inspiring story of Maria, a Honduran girl, to teach about food security and the potential of sustainable farming. With classroom support, curriculum links, a quiz, background info (on food issues, Honduras, hunger, sustainability, etc.) and much more, the web site complements the book, and is an incredible resource on its own. A fun and informative trip through the world of growing food in urban areas. From spaceship-shaped greenhouses to aquarium aquaponics, from growing strawberries in old shoes to raising chickens in backyards, the book is full of interesting facts, helpful how-tos (composting, creating a teaching garden) and lots of food for thought. Filled with interesting project ideas (making a bird feeder and a “bee-pot”), kid-friendly recipes (rhubarb sundaes, strawberry trifle) and simple explanations about compost, growing healthy plants, watering, germination and the carbon cycle, Kids in the Garden is easy to read and use—for both kids and adults.